Interior designer Carol Pipes volunteered her time and expertise to plan a warm and welcoming space for youth in mental health crisis and their families. 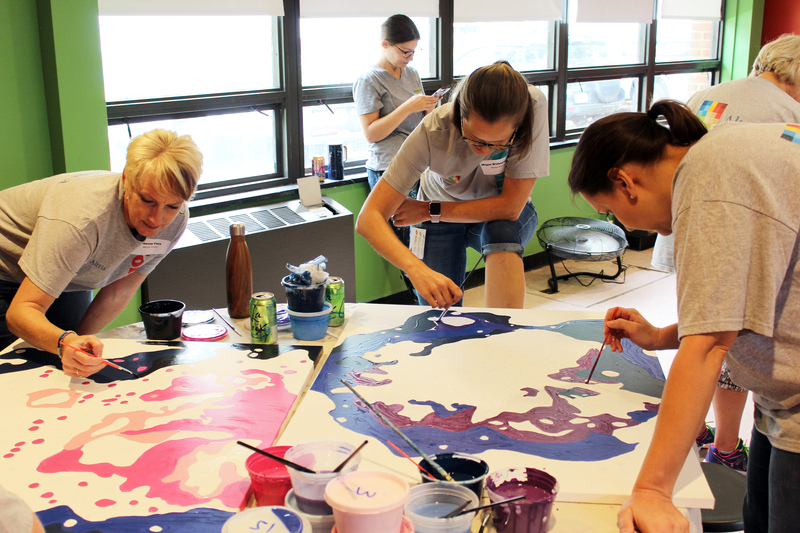 Thanks also to our hardworking Facilities team and volunteers from Altria, our Crisis Stabilization Unit is getting a new coat of paint and new handmade wall decorations. Stay tuned for a look at the finished building! Our Crisis Stabilization Unit operates 24 hours a day, 7 days a week in partnership with RBHA Region IV. Last year 85% of youth served by the CSU were diverted from hospitalization.